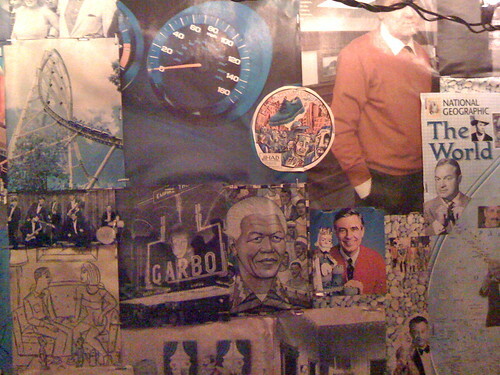 Nelson Mandela and Garbo, Detail, BenWah’s Garage Art, a photo by DRheins on Flickr. This entry was posted in America, art, blogosphere, Cosmic Giggle, free pamphlet publishing, Indianapolis, just what america needs, outsider art, photography and tagged art, BenWah Salami, free pamphlet publishing. Bookmark the permalink.